Are you planning a wedding in Jamaica? Your wedding can be on the beach, on a majestic boat bobbing in the warm waters of the Caribbean, at an exclusive villa or hotel, or in a beautiful chapel of your choosing. Whatever your mind conceive can be created. It doesn't have to cost a fortune or be a nightmare to organize. It's a perfect place to start your happily ever after. Today Jamaica is the destination that most people from around the world want to be in...at least on their very special occasions such as weddings! If you think planning a wedding in Jamaica is difficult, think again. Since a lot of couples want to have their weddings in Jamaica, there are agencies that cater to your heart's desires and specific requirements making it easy for you. Jamaica is a heavenly location. I can attest to that because my daughter traveled from the US to Jamaica to get married, with vast expanse of sea that lures you into its magical spell and as a beautiful back-drop. Its natural beauty, pure and fresh air, bright and abundant sunshine along with clean white sandy beaches attract several couples throughout the world to get married here! For the ceremony you can decide either on having a tropical wedding waterfall location, or a scenic beach, a decorated wedding arch for the ceremony, white chairs, covers and satin ribbons as decoration material, and table for signing of wedding documents. It is indeed a perfect wedding destination. 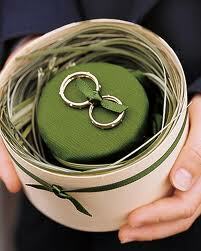 The wedding planners will organize a reception for the bride and groom along with their family and friends. They will organize for you to have professional digital pictures, music - whether a DJ or a band, or just complimentary music accompaniment, cake, champagne, and even a personalized onsite wedding coordinator. Jamaica is truly the dream destination to start your lifetime of memories. This is the destination that satisfies every bride's desire to the fullest. Your wedding planner will assist you in processing legal documents before the wedding. Like getting a marriage license, a Pastor to perform the ceremony, marriage certificates, witness if needed, tropical bridal bouquet and the tropical groom boutonniere. Hosting weddings in Jamaica is possible as there are several wedding packages and exclusive planning services that a number of companies and individual offers. They are dedicated wedding planner professionals who will turn your special day into something unforgettable. With exceptional surroundings at exclusive private villas and hotels all over the island of Jamaica. Even on a cruise ship or cruiser at sea, along with conveyance from Cruise Port to wedding. The possibility exist for every type of wedding idea you may desire. Your wedding planner will make it happen. What more can you ask for? Everything is well organized and you can expect nothing but perfection. Planning a wedding in Jamaica has been made convenient by the wedding planners here. Weddings in Jamaica are exciting and hassle free. Did you get married in Jamaica, what was your experience? Was your day perfect, or did it rain, and did everyone arrive on time. Or tell us about a wedding you attended in Jamaica. Was it as you expected or even more.